When you’re in the market for a used Honda, you have some serious choices to make. 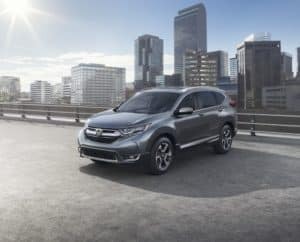 Along with deciding which model is right for you and your driving style, the choice of used vs. certified pre-owned (CPO) Hondas also comes up. How do you know which one will better suit your needs? To help, Norm Reeves Honda Superstore Huntington Beach has created this used vs. CPO guide. Below, drivers near Huntington Beach, Westminster, and Orange County can see the differences in each type, making it easy to come to an educated decision once it’s time to visit our lot! What’s Considered a Honda CPO Vehicle? Certified pre-owned vehicles offer a nice combination of benefits that come with new and used cars. Though these vehicles have been on the road before, they go through a stringent process to earn this title. To start, the vehicle in question must pass a 182-point inspection performed by Honda-trained technicians. This covers every aspect of the Honda from top to bottom, inside and out, to ensure this vehicle is up to par. Vehicles must also be under 6 years old to be considered a Honda CPO; this guarantees you’ll be driving the newest vehicles that are in their prime. Used Honda models are exactly what they sound like: They’ve been owned by previous drivers and have hit the streets before they came to our dealership. 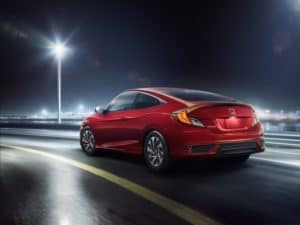 Although they don’t need to pass a Honda-certified inspection, they are thoroughly assessed by our professional technicians to ensure they’re reliable and road ready. Along with the peace of mind that comes with a CPO car, you’ll also gain a plethora of perks as an owner, one of the most impressive being the manufacturer-backed warranty. This limited warranty covers your powertrain with no deductible for 7 years or 100,000 miles, whichever comes first. However, because of this backing, these vehicles do tend to cost a little bit more than traditional used models. CPO Hondas also come with a complimentary 3-month trial of Sirius XM® Satellite Radio. Digital entertainment is taken to new levels with thousands of available stations for music, talk radio, sports, news, comedy, and more. Honda Care is also available for an extra fee, but it provides more protection for your investment. This additional coverage comes with 24-hour roadside assistance, more warranty coverage, and concierge emergency services. What some consider the greatest benefit of buying used is the cost. There’s no doubt these vehicles are priced less than CPO and newer models, which opens up quite a few doors. For one, this allows you to find a financing option that works perfectly for your lifestyle. Additionally, if you’re trading in a vehicle, you may be able to forgo additional costs altogether. Used vehicles also give you a wide array of vehicles to choose from. Whether you’re looking for an SUV, sedan, truck, or hatchback, pre-owned Honda options are always aplenty. Choose the year, price, and even the mileage you like best, and you’ll be met with a ton of Hondas that will elevate your commutes. Now that you know all about used vs. CPO models, you’re ready to visit Norm Reeves Honda Superstore Huntington Beach. Our team can assist you in finding your dream vehicle, allowing you to take on the streets of Huntington Beach, Westminster, and Orange County like never before!